Liz's Paper Loft: MCT September Release Sneak Peek Day 1 ~ christmas wishes! 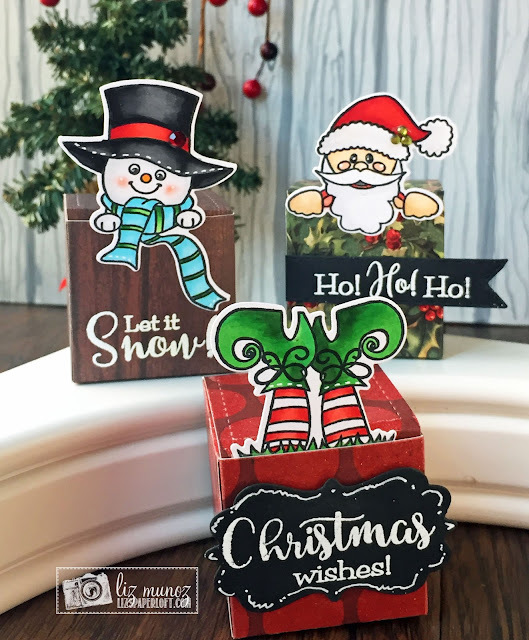 MCT September Release Sneak Peek Day 1 ~ christmas wishes! Welcome to day one of My Creative Time's September Release Sneak Peeks! Even though this month we have only two days of sneaks, don't think that we don't have a lot to share with you! 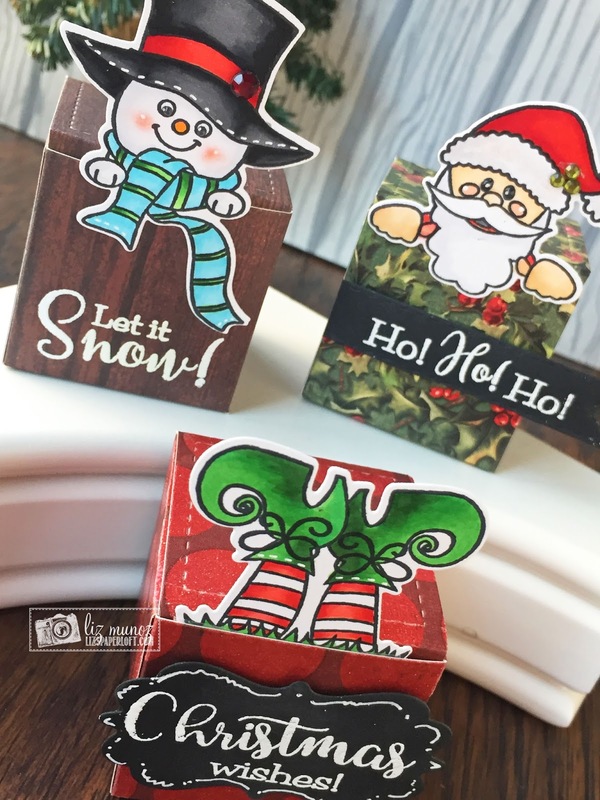 Today I get to show you Pocketful of Holidays and Pocketful of Holiday Sentiments set. This set covers Halloween, Thanksgiving, and Christmas. Oh and there's a fun pocket stamp and die included! If you look closely you will see the elf is actually a witch! Do you have tons of pattern paper pads that you'll never use for scrapbooking? Mainly because the papers looks dated (yes just like fashion) or you don't scrapbook anymore. Well I certainly do! I found this pad of pattern cardstock that I thought would be perfect for boxes...and they were! YAY can leave a comment now!!! OMG Miss Liz Your Boxes are so cute and YES Adorabs!! You totally showcased today's Sneaky Peek one grand and Spectacular Style!! I'm so loving your ever so clever and creative ideas with the Peek-a-boo characters...and as a scrapbooker I'm right there with ya!!! So thanks for all the Craftabulous inspiration...using all of Miss Emma's goodies. YOU so ROCK!!!!! Oh my gosh these little boxes are so stinkin' adorable! Love all of them! WOW love those boxes, fantastic job. They are all so cute. These are super fun creation, you are very creative! They are all ADORABLE!! Super fun idea! 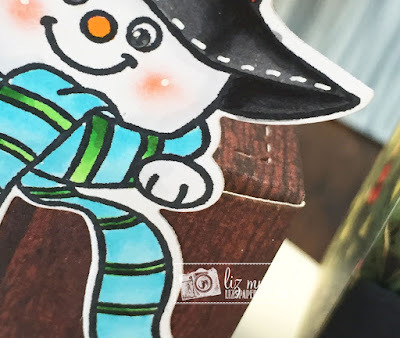 The peeks in today's peeks are adorable! They fit perfectly on the boxes. I love your witch as an elf. Awesome job. These are adorable! Love the way you made the elf legs from the witch's legs by changing the coloring! Your boxes are fabulous! Love how you turned the witch's legs into elf legs! Such a fun festive collection you created. Cute boxes! Great idea instead of pockets.